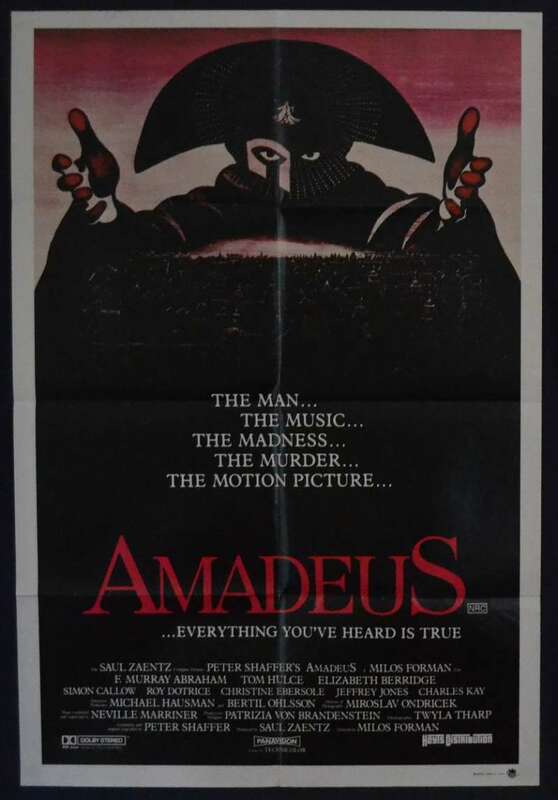 Amadeus is a 1984 American period drama film directed by Miloš Forman, adapted by Peter Shaffer from his stage play Amadeus. The story, set in Vienna, Austria, during the latter half of the 18th century, is a fictionalized biography of Wolfgang Amadeus Mozart. Mozart's music is heard extensively in the soundtrack of the movie. 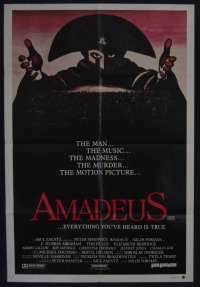 The film follows Italian composer Antonio Salieri at the court of Emperor Joseph II, and his jealous vendetta against his younger rival, Wolfgang Amadeus Mozart. 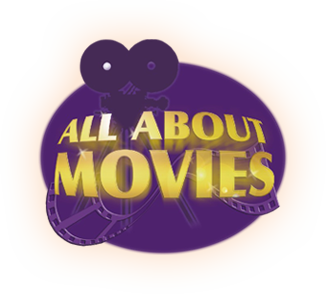 The film was nominated for 53 awards and received 40, which included eight Academy Awards (including Best Picture), four BAFTA Awards, four Golden Globes, and a Directors Guild of America (DGA) award. As of 2017, it is the most recent film to have more than one nomination in the Academy Award for Best Actor category. Edge Wear / Stains: Edgewear at top horizontal border, once matted and framed this would not be seen.